PROFIBUS Network Analysis – don’t forget the segments! 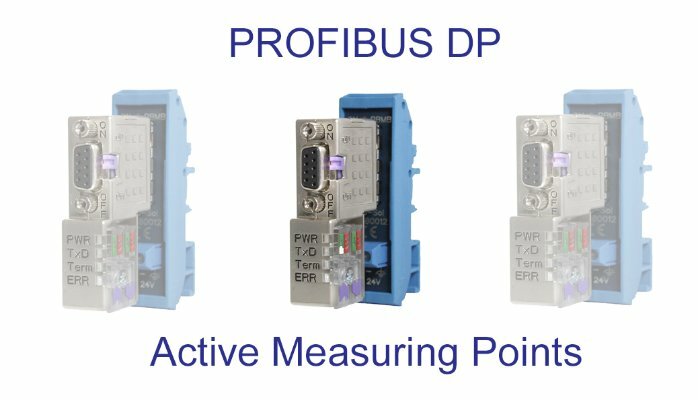 In order to allow PROFIBUS Analysers to provide a complete analysis of a PROFIBUS DP network they must be allowed to analyse both the logical and physical aspects of the network. Logical analysis, i.e. the analysis of PROFIBUS telegrams, can be achieved by connecting the analyser to any point in the network, just once. However, the dividing of a network into segments by devices like Repeaters, Hubs and Optical Link Modules means that correct analysis of the physical aspects of the network can only be achieved by connecting the analyser to every segment, one at a time. Very often this will be via the piggy-back socket on the PROFIBUS plugs in use on one or more of the slaves in a given segment. However, some PROFIBUS slaves do not have a D-Connector and use screw terminals instead. An entire segment of similar devices will make the physical (electrical) monitoring of that segment very difficult, if not impossible. The PBMA Measuring Point, resolves this by providing non-reactive access to the segment for analysis and fault-finding purposes. It takes no address and sits passively on the bus, all it requires is a 24v dc supply. Additionally, every segment of a PROFIBUS network must have a powered end-of-line termination at both ends of the segment. Failure to ensure this will put your network at risk from telegram corruption due to signal reflections – the higher the speed of your network the more susceptible it will be to this. In a well-designed network, each segment will start and end with a device like a PLC, Repeater or Optical Link Module, i.e. devices that on failure would require a network shutdown to rectify anyway. These devices provide the 5v to the end-of-line terminating resistor network. However if there is a slave at one, or both ends of a segment there is a risk of there being a temporary un-powered termination should either slave ever need to be removed or powered down for maintenance purposes. This will make that segment unstable and at risk from telegram corruption. The recommended solution is to use an Active Terminator whenever a slave is the first, or last device in a segment. 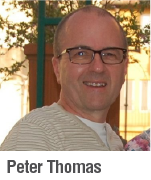 Active Terminators, like the PBMA Measuring Point provide the necessary powered termination at all times, thereby allowing any slave to be temporarily disconnected without adversely affecting network communication. If you’d like to know more about this or any aspect of PROFIBUS networking, please go to the contacts page of our web site www.controlspecialists.co.uk or call us on +44(0)1925 824003.